Glamsquad has arrived in Orange County and your beauty routine will never be the same. No more trips to the salon; you can now book hair, makeup and nail services to your home, office or wherever you may be. Glamsquad’s talented and trusted beauty professionals are hand-selected and rigorously vetted to guarantee consistent, high quality results. 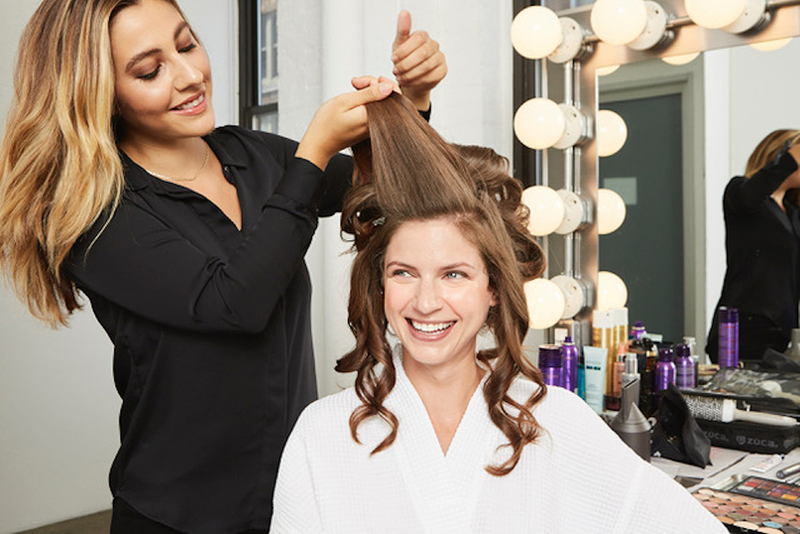 With hair, makeup and nails delivered anytime, anywhere, Glamsquad has become a beauty staple for thousands of women in NYC, LA, Miami, DC and Boston. Whether you’re booking a weekly blowout, makeup for a special night out, or your monthly mani/pedi, the experience is completely customized to you and your unique glam goals. Aside from elevating your daily beauty regimen, Glamsquad also offers a range of special event and bridal services. From poolside braid bars to makeup touch-ups before your office headshots, Glamsquad can customize any service offerings to your group’s specific needs. With a dedicated weddings concierge and bridal-specific beauty professionals, the experience is tailored to each bride and/or bridal party. Glamsquad’s curated team of bridal hair stylists and makeup artists go through ongoing assessment and education to ensure they are highly versed in the latest bridal trends and can make your dream wedding a reality. Whether you’re craving a mid-week pick-me-up or need to look picture perfect for your wedding day, Glamsquad will make you look and feel amazing. Glamsquad services are easily booked through the Glamsquad app or website. Simply select a service, choose a date and time, provide your location and let the Glam come to you. For more information about Glamsquad, please visit www.glamsquad.com.